It's never too early to start preparing for the 4th! The Fourth of July means patriotic red, white and blue fun and in Montrose that means it’s time for the annual 4th of July parade and fireworks. Historic Main Street is home of the 4th of July parade. The parade begins at 10am and is sponsored by the City of Montrose, the Montrose Police Department and the Montrose Lions Club. The parade route begins at Pythian Avenue and ends at Rio Grande Avenue. With Eye catching floats, festive live music, livestock, and family fun for all ages it is a community event not to be missed. If you are interested in entering to be in the parade registration Is due by Friday June 29th. 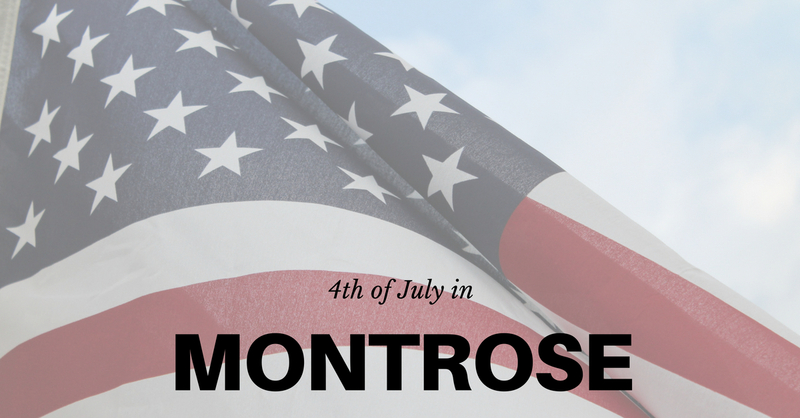 Montrose has been rated as one of the best places in Colorado to see fireworks. At dusk fireworks will light up the evening sky off Sunset Mesa and is not to be missed. Approximate start time is 8:30pm with the best viewing spot located at the Clifford E. Baldridge Regional Park Complex.